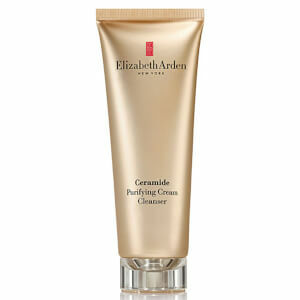 Deeply nourish skin with the Ceramide Cleansing Face Oil from Elizabeth Arden. 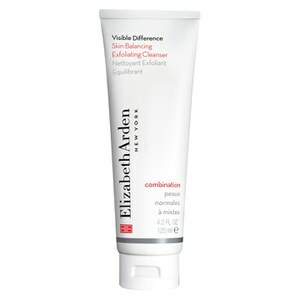 Transforms into a luxurious emulsion upon contact with water to effortlessly dissolve make-up, impurities and even waterproof mascara, without stripping moisture. Formulated with a unique blend of botanical oils, including olive oil which provides omegas 3, 6 and 9 to condition skin and vitamin-rich safflower oil. Essential lipids sustain skin to reveal a clean, soft and smooth complexion, whilst antioxidant apricot oil delivers intense hydration. E.N. Prunus Armeniaca (Apricot) Kernel Oil, Carthamus Tinctorius (Safflower) Seed Oil, Olea Europaea (Olive) Fruit Oil, Caprylic/Capric Triglyceride, Peg-20 Glyceryl Triisostearate, Parfum/Fragrance, Butylphenyl Methylpropional, Limonene, Linalool.